The museum is located in the Presidio area and is accessible by car, bus, or bike. I would recommend allocating at least 3-4 hours to visit. We spent a solid 4 hours at the museum, there is just so much information to absorb. Even though this is the Disney Museum, I do think it is better suited to adults and older children. There are a few interactive exhibits, but for the most part you read and see pictures and other artifacts to learn the Disney story. There is also content on the STQRY app that you can listen to as you go tour the museum. The lobby of the museum, look at all the awards! The museum covers his family history and childhood years all the way to his death in 1966. The story is presented chronologically so that it is easy to follow. I was surprised to learn about the setbacks in his career and inspired by how he reacted to them. His imagination and determination were key to his success. He was such a great innovator, time and again, rewriting the boundaries and doing things no one had done before. He never stopped believing in himself regardless of the obstacles or naysayers. Disney was a hard-worker, visionary, and an optimist, that inspired brilliance in those around him and really made a big impact on the entertainment world. 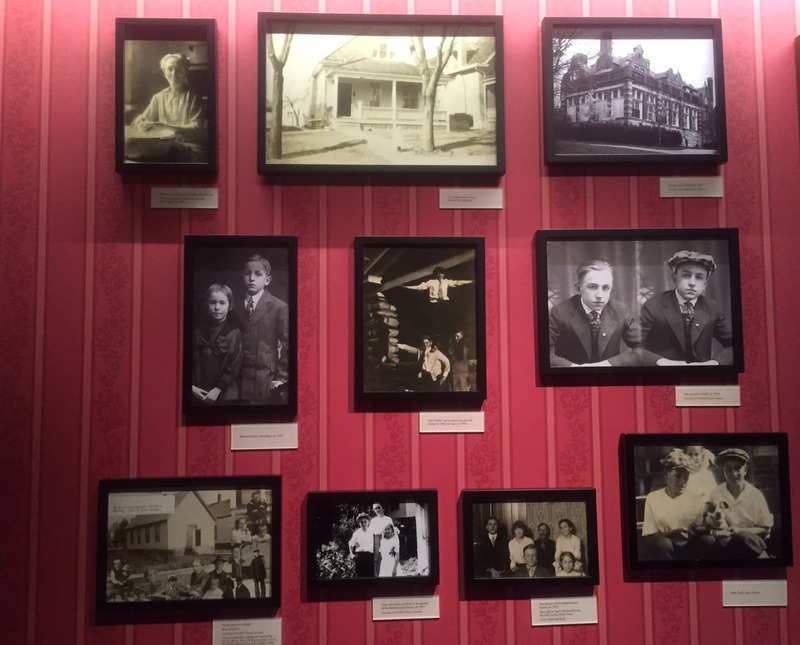 Pictures of Walt Disney and family. Walt had a paper route growing up which required him to wake up at 3:30 am! Sometimes he would play with toys that he found on his route but always made sure to put them back exactly where he found them. He lied about his age so that he could join the American Ambulance Corps during World War I. While he had his first job at a commercial art studio, he started his first animation venture, Laugh-o-Grams with another artist, but it quickly went bankrupt. So when he moved to Los Angeles at the age of 21, he only had $40. Mickey Mouse was not his first successful character, it was actually Oswald the Lucky Rabbit. But Oswald was owned by Universal Studios so because of contractual issues, Disney had to start over again. 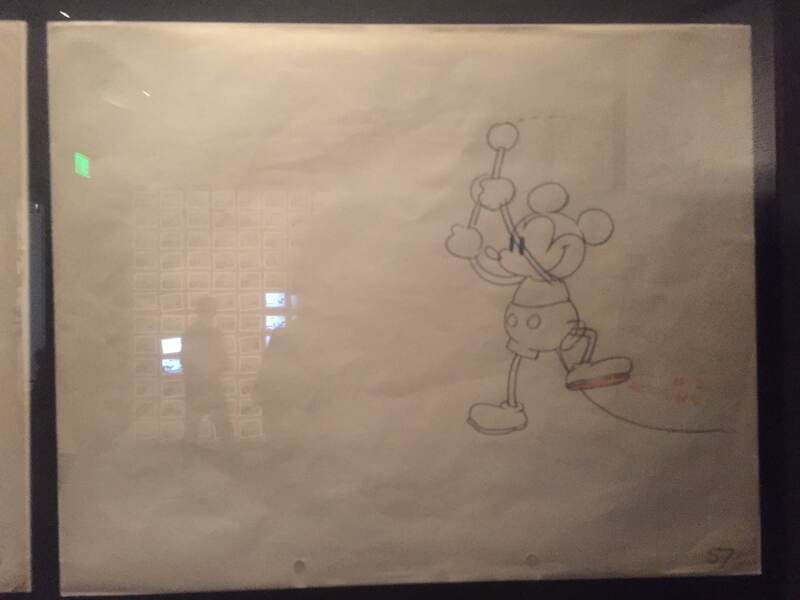 It was fascinating seeing some of the early drawings of Mickey. it is also interesting to note that Walt was the voice of Mickey at times. Steamboat Willie was the first cartoon with synchronized sound. 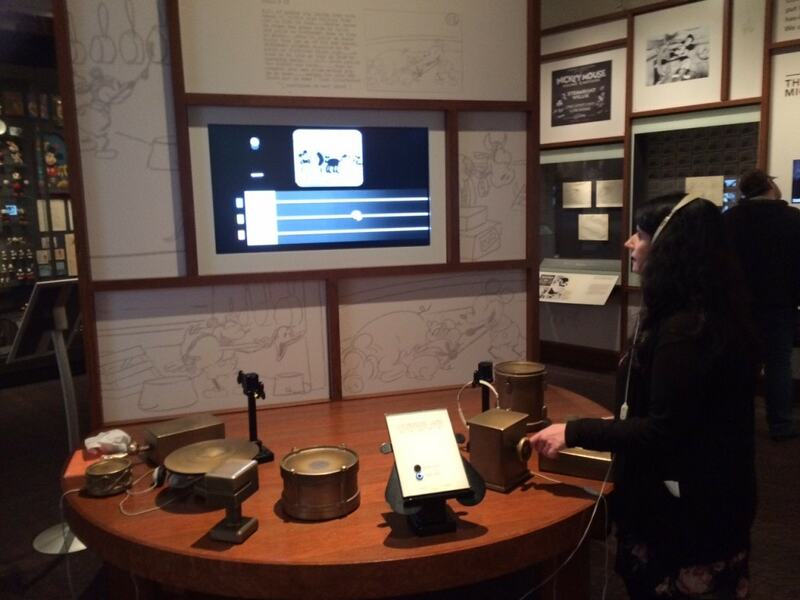 They have a nice interactive exhibit that helps demonstrate the technology that they used for this. 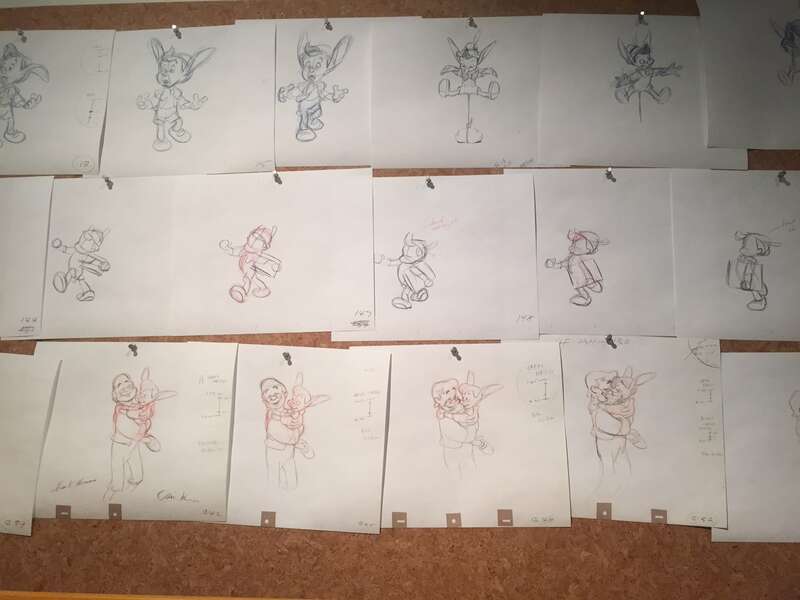 Storyboards were first created at Disney for the short film The Three Little Pigs. Now they are also used for film, advertising, software, and novels, etc. Snow White was the first feature-length animated film. There were many skeptics but Walt and his brother Roy were able to get the financing they needed to make the movie a success. Walt won an Honorary Academy Award which was the standard size Oscar with seven miniatures. The award is on display in the museum’s lobby (see picture above). One of his animator/directors created a new camera called multiplane camera. This allowed layers of the drawings to move at different speed and create the illusion of depth. The multiplane camera they used is on display in the museum. 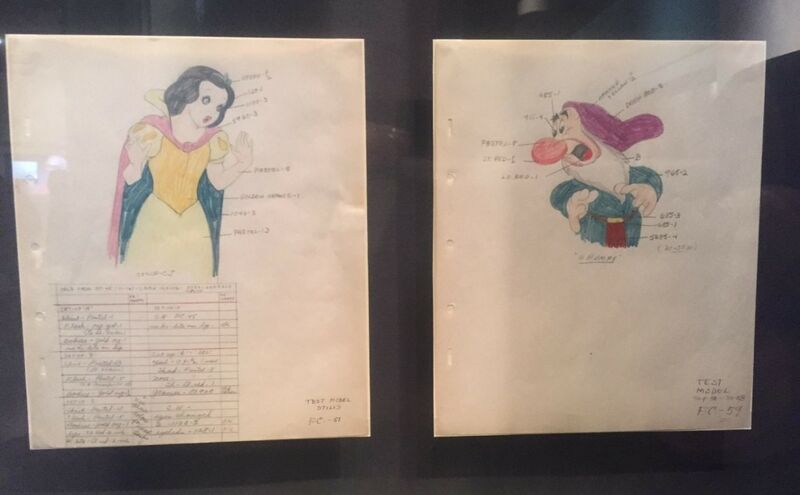 Even after he had an established record of success with Mickey Mouse and Snow White his next projects – Pinocchio, Fantasia, and Bambi – were not money makers when they were first released. The main reason was timing – World War II. You can sit on a bench that Walt used to sit on as he watched his children at the park and dreamed up Disneyland. He wanted a place where families could spend time together. There is an apartment on Main Street USA in Disneyland (the second floor of the firehouse) that Walt and his family would stay in. Walt watched the crowds come in on Opening Day from this apartment. Now, a light in the apartment stays on, as a tribute to Walt Disney. 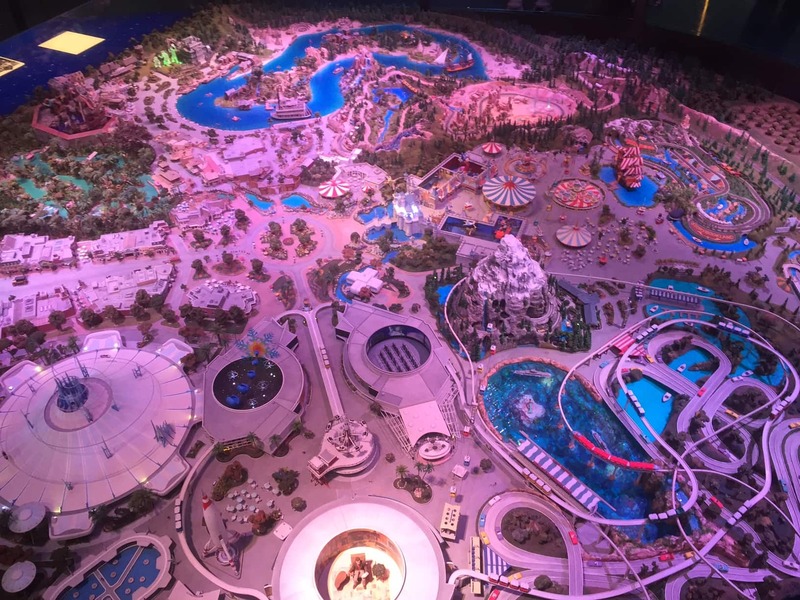 You can see this on the diorama of Disneyland in the museum. Seeing this diorama really made me want to go back to Disneyland! 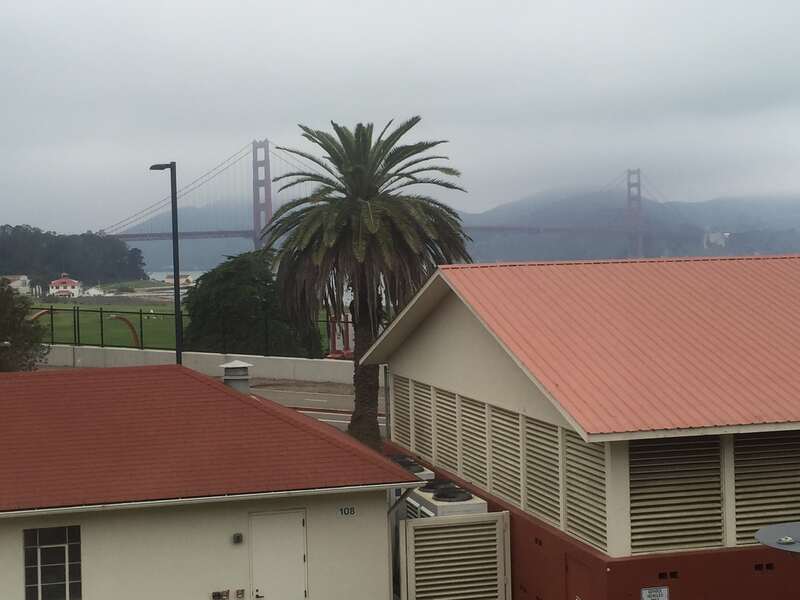 The view of the Golden Gate Bridge from the museum. These are only a few of the highlights, there really is an impressive collection of memorabilia and information. And as a bonus, you get a nice view of the Golden Gate Bridge in one part of the museum. You will leave the museum an even bigger Disney fan with a renewed sense of determination. Are you a Disney fan too? 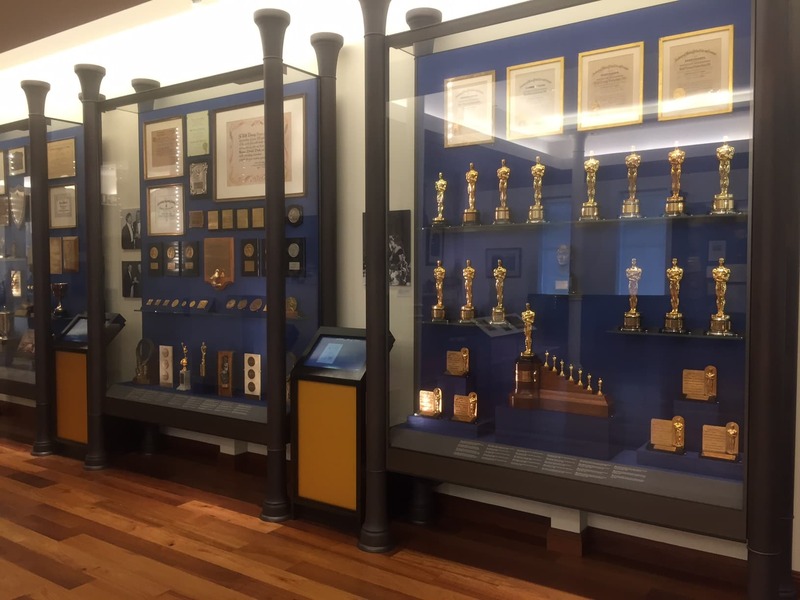 Have you visited the Walt Disney Family Museum? I would love to hear about your experience. 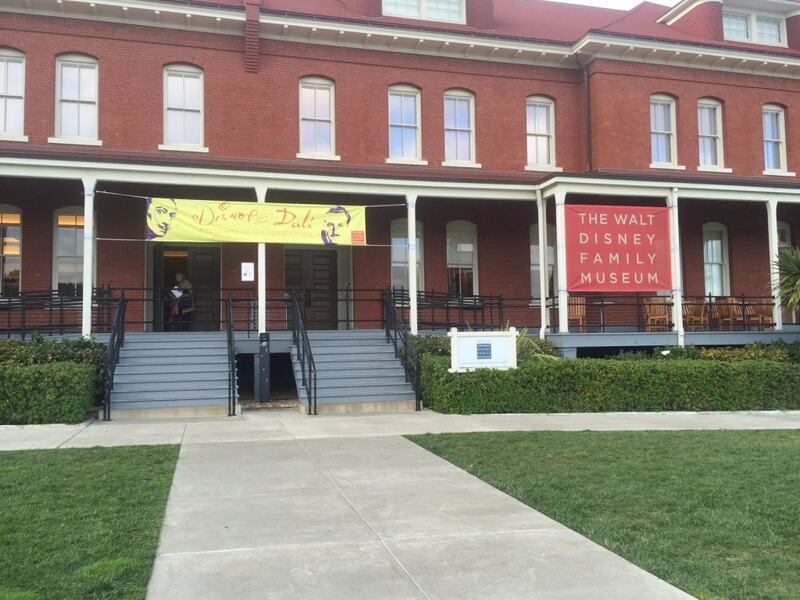 Allocate 3-4 hours to spend at the Walt Disney Family Museum. The museum is best suited for older children and adults. If you are traveling with children, here are some of the best things to do in San Francisco with kids. 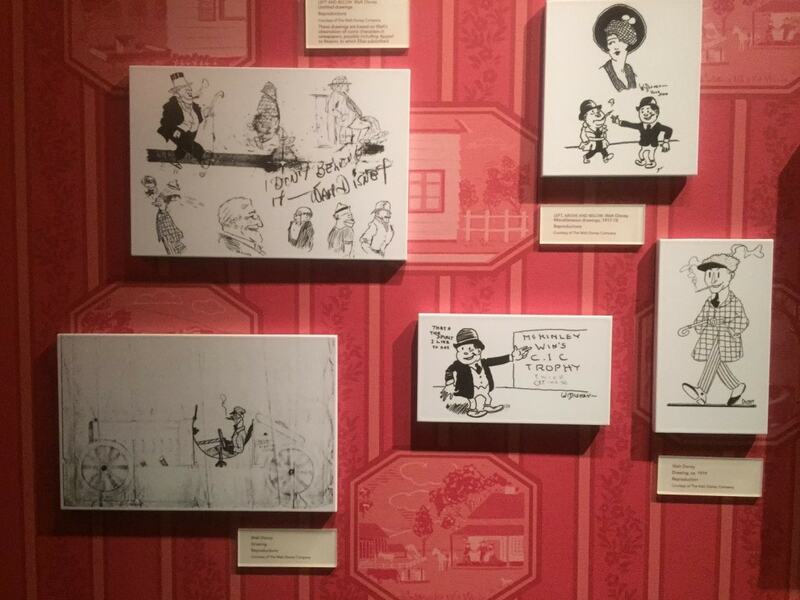 Disclosure: No financial compensation was received, but the Walt Disney Family Museum did provide complimentary tickets. As always, opinions expressed here are my own. I love this post! I’ve always wanted to visit the museum, so it was wonderful to read about your experiences there and see photos. Walt Disney was such an inspiring person! Ann – Thank you so much for the feedback, you should definitely try and visit. I agree Walt Disney was such an inspiration. I didn’t realize all the obstacles he had to overcome until I visited the museum. So now I’m an even bigger fan! This is a fascinating insight into the man who dreamt so big. I had no idea that this museum existed. I love the Oscar with the 7 miniatures. What a big tribute from the Academy Awards. Thanks Sara. I knew you would like it. I was really inspired by his story.